A new, durable, plastic polymer grid system is facilitating the installation of stone up to 3 inches thick on elevated surfaces. The system, which is designed to support the structural load across a 16-inch-on-center span, effectively opens up the entire range of stone options for elevated surfaces to include the use of natural stone pavers, travertine, pavers, slate, marble, and tile. Designed and manufactured by Sare Plastics, a custom injection molding operation, the Silca System is a deck inlay subflooring grid that can be used on new decks, as well as for retrofit applications. 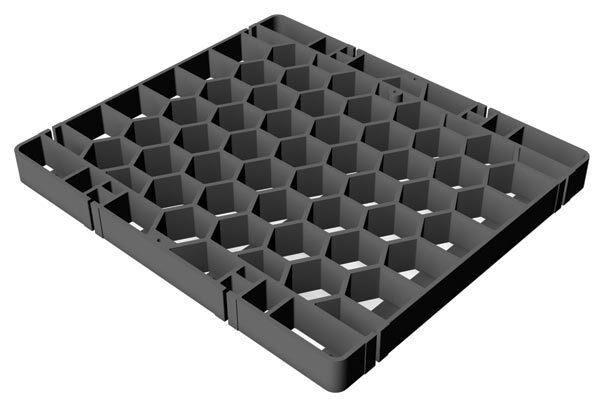 Based on the hexagonal structure of beehives and manufactured from engineered polymers into 1.5-inch-thick grids, the Silca Grates ensure a structural surface for natural stone and manufactured pavers. Read more at www.masonrydesignmagazine.com/elevated-stone-deck-market-opens-up. 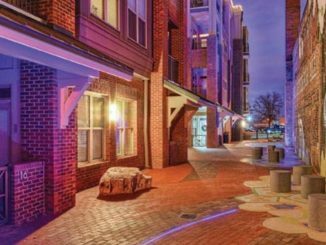 Brick, concrete, permeable, interlocking and stone pavers are popular paving options for exterior plazas, walkways, driveways and mass transit applications.